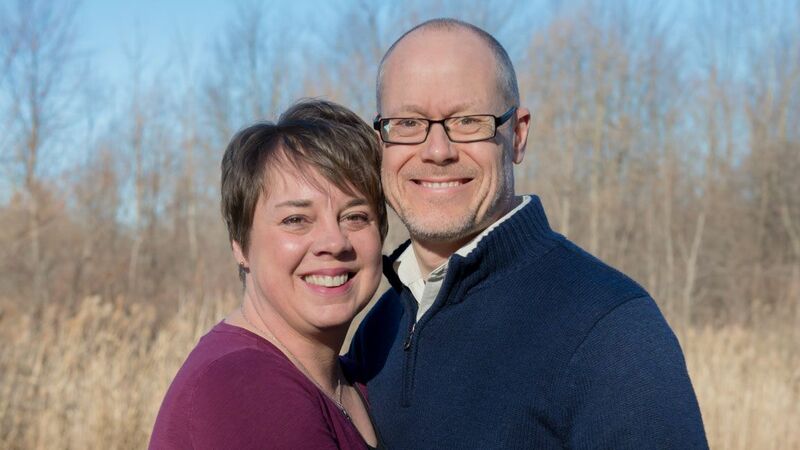 Todd Bierman is Senior Pastor at Faith Lutheran Church in Grand Blanc, MI and an instructor in our Master’s of Education – Family Life program. Todd is a leading voice in the conversation about Christian marriage and family in a time of tremendous cultural upheaval. If you are interested in Family Life Education, sign up for a free email mini-course and see if this could be a calling on your life. Todd, thank you for taking time out of your schedule. Could we start off with you telling us, in a sentence or two, why do you believe family ministry is so important in the Church now? Family ministry is essential in the Church so that the Gospel of Jesus Christ will be passed along to the generations yet to come. In the Church and in our nation as a whole, there is a critically low number of children who have a desire or compulsion to hear of Jesus as Savior and follow Him as Lord. How do you define Family Life Education? Family Life Education is a process that equips individuals to show the love of Jesus in all their family relationships and to teach that love to others. Such education provides a clear biblical foundation for love through an understanding of what Jesus has modeled and taught. It also supplies simple concepts and tools to easily remember and put into practice personally and when educating others. How should we think about Family Life Education? We need to recognize that Family Life Education is based on clear, absolute truths of the right way for relationships as taught by Jesus. Family Life Education must also be awash with the forgiveness and grace of Jesus since students will be regularly convicted of their own failings to practice what Jesus has taught. We must also acknowledge that gaining Family Life Education is a long, continuing process that will succeed as instructors model the love of Jesus to the students under their care. Finally, Family Life Education prospers when it utilizes the host of resources available that open our understanding of the social dynamics in family life. Who benefits the most from Family Life Education in the Church? While every member of the faith family benefits immensely from proper Family Life Education, the greatest beneficiaries are the children. They will be surrounded by a host of disciplers who are eager to guide them to the perfect love of Jesus. They will receive the grace and guidance they crave, but will not find anywhere else in the world. Such discipling of the young will certainly spill over to the world beyond the walls of the church so that the hungry souls of children everywhere will be fed with the message of Jesus that is the only fulfilling food. How can the Church start introducing family life into the ministry? The Church can start to introduce family life education into the ministry as it teaches about the perfect love of Jesus for His bride, the church, as summarized in Eph. 5:31. St. Paul reiterates the marriage mandate, “therefore a man shall leave his father and mother and hold fast to his wife and the two shall become one flesh.” Jesus shows such perfect sacrificial, unconditional and incarnational love to every Christian in His church. Once Christians understand how much they are loved by Jesus, they are empowered and inspired to show that same sort of love in their own marriage and family. As Christian families grow in such love, they will be a model and source of love for the rest of the faith family and then, also, to the entire world. Can you give us an example of one or two things that can be built into a Church curriculum for Family Life Education? A great Family Life Education curriculum should start with a strong program of marriage preparation and enrichment. Marriage is the primary relationship after that with Jesus and it is the living model of the way that Jesus loves His bride, the church. Second, the Family Life Education curriculum should have a comprehensive process for equipping parents (all adults) to pass along the love of Jesus to the next generation through every stage of growth. Examples of this are “stepping stones” or “faith legacy” types of programs. Looking to scripture, do certain verses stand out to you as most related to family ministry? In Matthew 28:19-20, Jesus gave the mandate, “Go therefore and make disciples of all nations, baptizing them in the name of the Father and of the Son and of the Holy Spirit, teaching them to observe all that I have commanded you.” (ESV) The term “all nations” includes ALL ages…grandparents, parents and children. The Church has an obligation to lead ALL ages to receive the Gospel and live under the Law of Jesus Christ. We are to foster the perpetuation of such discipleship in the home as parents are equipped to disciple the next generation. Culture is changing and it can be difficult to keep our children on the right path. Do you see key areas to address here? Children are being taught that they have the freedom to choose their own spiritual path. They are being left to follow the desires of their corrupt selfish nature that clamors for independence and autonomy. Therefore, they naturally run from God and the message of Jesus. Without parents and a Church that actively disciples them in the Word of Jesus, they are left on their own path of destruction. So, how can we work towards keeping the next generation faithful? As parents are strengthened in their own discipleship and equipped to disciple their children, the Gospel of Jesus and His love will inspire and empower the parents who will then train up the next generation in the way that they should go so that they will not turn from it when they grow older. Following Jesus will be joyfully taught and modeled by one generation to the next with the support of the Church. What other advice would you have for the Church? The Church will foster the discipleship of the next generation as it equips every family type for the task. This means actively discipling parents, grandparents, step-parents, foster parents, and every adult in the Church for the important task of discipling the next generation through word and action. Single adults can still be involved in the task of discipling the next generation as they are models and teachers from whom every child in the Church family is able to learn. Single Christians, grandparents and other adults without children of their own are all essential in the task of discipling the next generation. They are able to directly influence the children of the Church while they also support the parents in the church. Pastors and other Church workers are essential in the task of helping families thrive as they teach of God’s love in Jesus for every person in every family. They can point to the strengths in every type of family and equip them all with Jesus’ way of love. What can be done to help marriages and families achieve harmony? Harmony results from first receiving the unconditional forgiveness and love of Jesus for our inevitable failures in relationships. Then, having received such sacrificial and unconditional love from Jesus, joyful and thankful individuals are able to pass along what has been received in their marriage and family relationships. We forgive as we have been forgiven…freely. We love as we have been loved…unconditionally. We share the peace we have with God…harmoniously. What is the primary objective for Christians and how can that objective be achieved? The primary objective for every Christian is to grow closer in relationship to Jesus, receiving His perfect love and responding in joyous praise and service to Him. His love will inspire our love for everyone in the world around us. Growing in such a loving relationship with Jesus is achieved primarily as Christians faithfully study the Word of Jesus and receive His free forgiveness and power through Holy Absolution and reception of the Lord’s Supper. Such growth is supported as fellow Christians model and share the love of Jesus with one another.